*The New York Post’s Page Six is reporting that CNN wants a host for its troubled 7 p.m. timeslot that will help win back the African-American and Hispanic viewers they’ve reportedly lost since the 2008 presidential campaign. CNN shot a pilot featuring Soledad O’Brien for the 7 p.m. slot, but sources tell Page Six it was deemed unwatchable by CNN Worldwide president Jim Walton. However, some CNN suits haven’t given up on the idea. According to ratings for the first quarter of the year, MSNBC beat CNN and Fox News Channel in prime time among African Americans and Hispanics, and an MSNBC spokesman said this been the case for some time, the Post reports. Among African Americans, 171,000 watched MSNBC, 129,000 CNN, 31,00 Fox News Channel and 41,000 HLN. I like that CNN is doing this. African-Americans are shut out of almost everything involving media. We don’t have our own political or news shows, Roland Martin’s show comes on one day a week. And it seems like Ed Gordon’s new show has already been cancelled because I don’t see it advertised on BET… A truly blink and you missed it type of show. So, I hope that this venture does well, because I get tired of these networks and corporations undervaluing African-Americans. Soledad O’Brien!!! WTF?! NO CNN!!! NO!!! 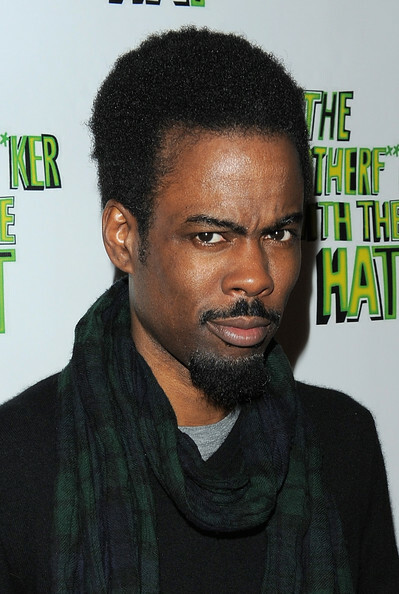 I like the Chris Rock idea. I like that very much. Him I’ll watch. Aisha Tyler is too damn wishy washy so, NO!!! She’ll do it for maybe a year and then will want out. Chick doesn’t stay anywhere. She gets a job and then, she wants out so, NO!!! Ed Gordon would be great on CNN. I’d love it, I’d watch it. His meager contract with BET, if he still has one with them could be bought out. Tavis Smiley would be great on CNN. I’d love it, I’d watch it. His meager contract with PBS, could be bought out.